Just a quick note to wish all our U.S. followers, readers and friends Happy Fourth of July! 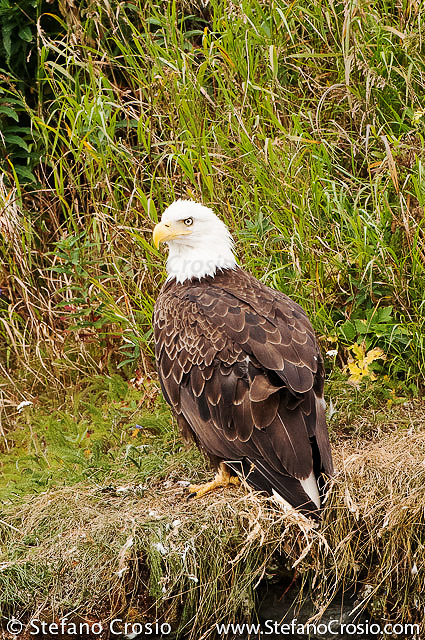 This entry was posted in Photography, Wildlife Photography and tagged Alaska, bald eagle, bird, Katmai National Park, nature, photography, USA, wild, wildlife on July 4, 2014 by Stefano. Your striking bald eagle photo *is* the perfect image for this most American holiday & I wonder what kind of wine you’d pair for this lovely & spirited Independence holiday. Happy 4th of July to you and your lovely family, Stefano! Happy 4th July, Stefano. From a Brit! What a great photo. I’ve never gotten that close to one. Happy Fourth to you and Francesca! What a great capture, dear Stefano! Hope you and yours had a wonderful 4th of July. I love the look in the eagles eye, so wise and powerful. From below we see them circling overhead and even then they are massive birds. Nice job capturing the Bald Eagle. Hope you and F are well. Have a great summer. Cheers . K.
Thank you and Happy 4th to you! And to you! Enjoy the weekend! (It finally stopped raining here, so we’re celebrating today and tomorrow; yesterday we just stayed home). That’s a beauty. I never tire of that stern look.